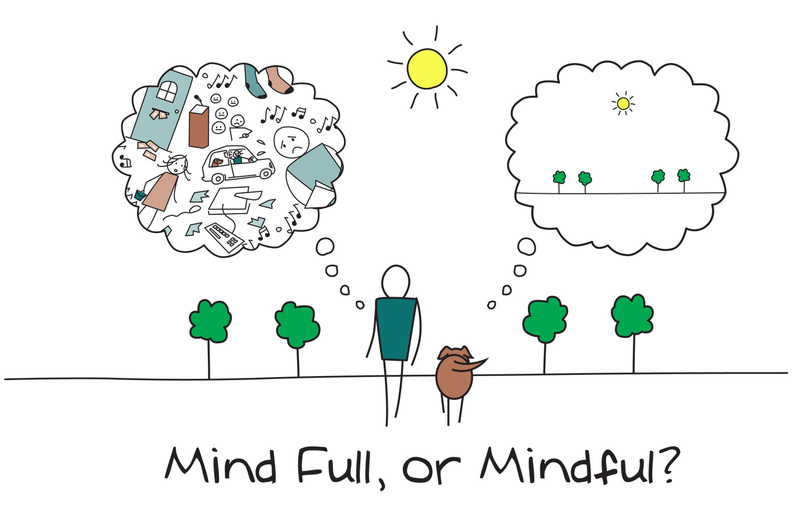 Tips for incorporating mindfulness practices into your daily routine as a college student. Life can begin to feel like a dull routine, especially in an educational institution. You go to the same classes day after day, talk to the same people, eat the same food, etc. This repetitive lifestyle can get boring and depressing. Meditation teaches that not only is each day a new beginning — each moment is a new beginning. As Greek philosopher Heraclitus explained, “No man ever steps in the same river twice, for it’s not the same river and he’s not the same man.” Once you begin living in the present, you will recognize an overflowing abundance of novelty everywhere you look. Practicing mindfulness throughout your day will expand your perception of your ever-changing surroundings. Anything you do with conscious awareness is a form of yoga. If you implement meditation into every part of your day, your whole life will become your spiritual practice! I will now explain how to implement mindfulness during daily activities to make the most out of every moment. The first thing most people do in the morning is check their phone. This habit starts your day off in a distracted state. Instead, take a moment of gratitude for the blessing of a new day. Think about what you’re excited to do today. Think about what you want to accomplish today. This meditation will allow you to start your day with a positive mindset – now you just have to maintain this state-of-mind for the rest of the day. Take a moment of gratitude for the blessing of another meal. Focus your attention on the sensations in your mouth each time you take a bite. This technique makes you aware of not only how you’re eating, but also what you’re eating. Every time you eat or drink, you’re either heightening or lowering your consciousness — choose wisely! It’s easy to get lost in conversation and finish your plate without even noticing. Mindful eating reminds you why you’re in a dining hall in the first place — to eat! Pay attention to your posture, making sure that your head aligns with your straight back. Notice the direction of each of your steps — are you pigeon-toed? — and work to make them parallel over time. Don’t walk around campus listening to music — your headphones tune you out of reality. Instead, listen to the sounds of birds chirping, cars speeding down the road, students talking, etc. This is the song of life. Many students view these activities as boring and difficult to complete with undivided attention. Therefore, they can serve as the perfect opportunity for you to implement your mindfulness practice. As you develop your meditative abilities, your capacity to focus on schoolwork will rapidly increase. Set aside at least 10 minutes every day for silent meditation in the lotus (cross-legged) position. As you gain experience, you will find it easier to return to your awareness throughout the day. Similarly, as you start practicing mindfulness in your daily life, your meditation practice will quickly improve. You may have noticed a recurring theme throughout this article — restrict your technology usage. Using your phone/laptop excessively will only distract you from directly experiencing the world around you. Each moment presents a new, unique opportunity to practice meditation. I highly recommend reading Ram Dass’ Journey of Awakening for a more comprehensive guide on implementing mindfulness into your daily life. Namaste, esteemed reader — I salute the Divine Light within you. I am passionate about health, wellness, meditation and mindfulness! I am looking forward to sharing my passions with the world via Thrive on Campus!